Printable luggage tags come in super handy when you are doing last minute packing before a trip and you realize your bags are not labeled. Just print, fill out personal info, laminate and you are good to go! In April I traveled for the first time in over 13 years and while I was trying so hard to remember everything I needed to bring with me, I realized the night before I left that my suitcases had no luggage tags on them. Luckily I had my address stamp handy as well as some scrapbook paper and laminating sheets so I was able to bang one out in just a few minutes. 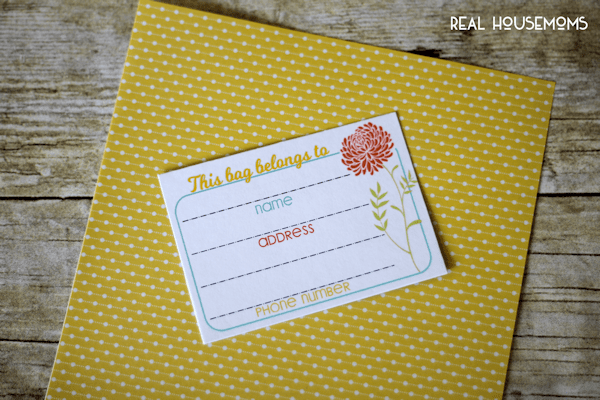 I realize that not everyone has an address stamp so I designed these blank luggage tags that you can quickly fill out before you laminate them. 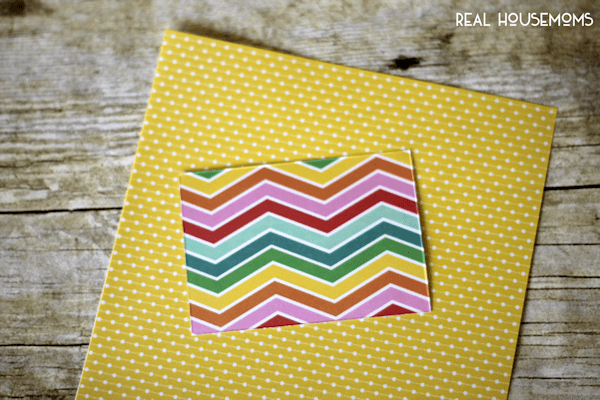 The first thing you need to do is print out your luggage tags onto the BACK of 8.5×11 scrapbook paper. This download (link provided at the bottom of this post) includes 6 tags on one sheet so print out as many as you need. Once printed you will cut out as many as you need. 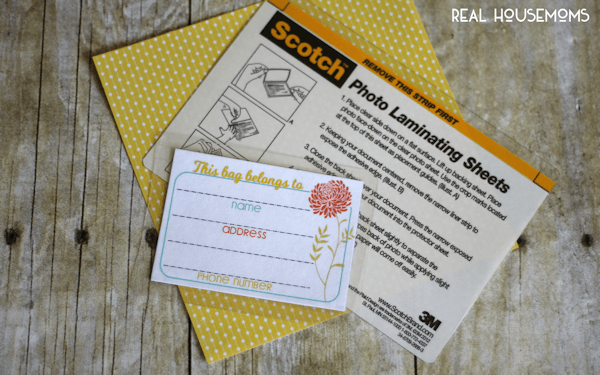 Laminate each tag with photo laminating sheets. 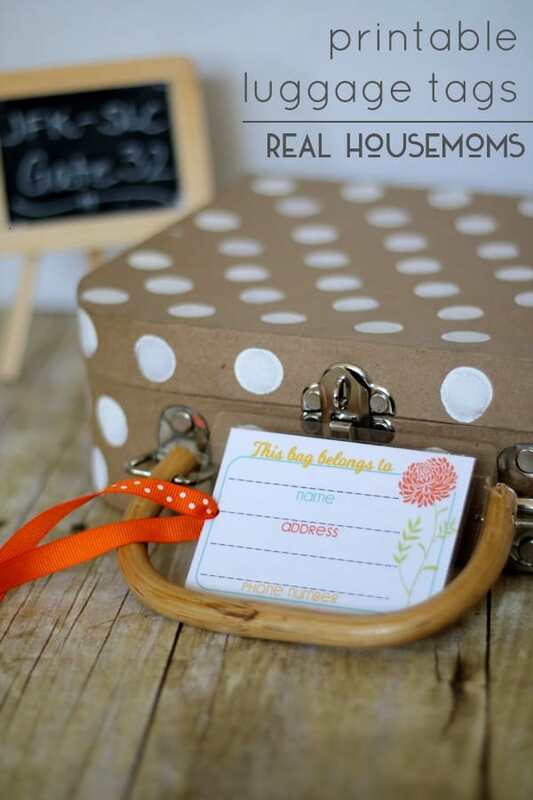 I like using the sheets pictured below because they are nice and thick and since you are printing on scrapbook paper it makes your luggage tags very sturdy. Punch a hole into your laminated luggage tag with a single hole punch and thread with ribbon. Tie your tag onto your bags and you are good to go. Click image below to download PDF. Free for personal use. Thank you, those are very pretty! And a perfect idea to print them on the BACK of your favorite scrap book paper. Hmm, how come I haven’t thought of that myself… but I (too!) often find I miss out on the simplest ideas! 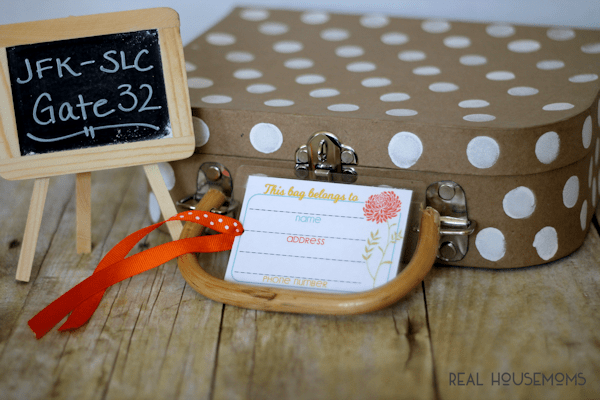 Printable luggage tags are wonderful. 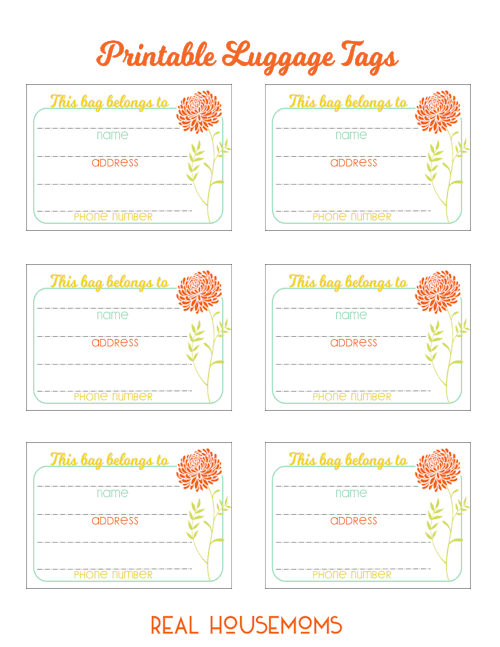 They fit in perfect for summer as favors tags or gift labels and would make a ho-hum Bon Voyage invitation great.